We often meet new clients who are experiencing difficulties with their existing jewellery. For example: rings that are too large or small; compromised claw settings; outdated designs. We are highly skilled in aspects including re-sizing rings, re-setting stones, renovating existing bands, removing claw settings and rejuvenating a gemstone with a flush setting. David Fowkes jewellery is made to last a lifetime: if your jewellery has not been made to the same high standards, or is not fit for wear, please do bring it to show us and we will be more than happy to help. 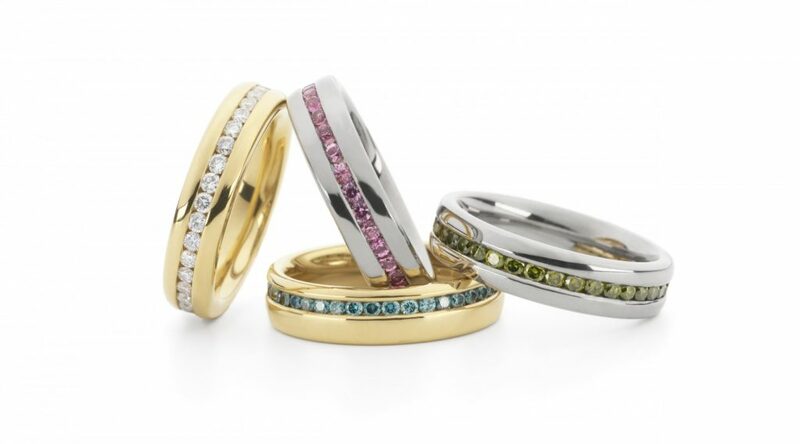 "I just wanted to say how thrilled I am with the re-sizing and restoration of my eternity ring. It looks brand new! Giles did such a fabulous job: what a talent and a credit to your team. Never have I come across such a lovely, friendly, talented team: always a smile and an enthusiastic willingness to help."